Factors in condition range from poor education to hearing loss and smoking, study finds. More than a third of the world’s dementia cases could be prevented by tackling lifestyle factors that increase an individual’s risk of suffering cognitive collapse in later life. These factors range from poor education to hearing loss and smoking, according to an expert commission set up by The Lancet. Its report, released at the Alzheimer’s Association International Conference in London on Thursday, is the first to quantify “potentially modifiable risk factors” for dementia from childhood to old age. The largest and most surprising of the nine factors is hearing loss in middle age, which could cut the number of dementia cases by 9 per cent if everyone was treated before deafness set in. “Although dementia is diagnosed in later life, the brain changes usually begin to develop years before, with risk factors for developing the disease occurring throughout life, not just in old age,” said Gill Livingston, psychiatry professor at University College London, who led the 24-member commission. If everyone stayed in school to at least the age of 15, the global burden of dementia would fall by 8 per cent, the report estimated. Education is believed to build a “cognitive reserve” as the brain strengthens its networks, increasing resilience in later life. Partial or complete deafness has emerged only recently as an important risk factor. New results from a study in Wisconsin of 783 people with a family history of Alzheimer’s found that those with hearing loss were three times more likely to progress from normal cognition to mild cognitive impairment, an early sign of dementia. Cause and effect, however, are hard to disentangle. Good hearing enables people to experience a rich cognitive environment and helps to avoid social isolation. But with research still at an early stage, The Lancet says it is unclear to what extent hearing aids can counteract the cognitive damage caused by deafness. It is estimated that 55,000 people in the State are living with dementia, but that less than half are diagnosed with the progressive brain disease. Over the next 25 years the number is projected to rise to more than 130,000. Several other risk factors have been identified in the Lancet study, including unhealthy diet, alcohol consumption, poor sleep patterns, air pollution and loss of sight. 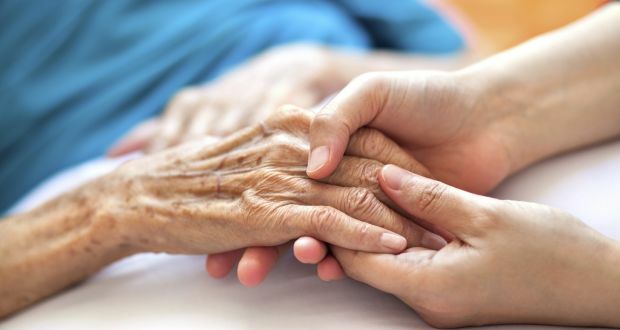 Preventing these additional factors would push the proportion of avoidable dementia cases well above 35 per cent, said Clive Ballard, professor of age-related disease at Exeter university. But some of the risks are much easier than others to address. “I think that the interventions that would make the biggest impact would be to treat hypertension [high blood pressure] more effectively and to reduce obesity levels,” said Prof Ballard, a member of the commission. Dozens of genes are known to influence a person’s susceptibility to Alzheimer’s disease – the discovery of three new ones was announced at this week’s conference – but scientists do not have enough information yet to estimate reliably the overall contribution to dementia risk of inheritance versus environment and lifestyle. The most important Alzheimer’s gene is ApoE4, which is responsible for 7 per cent of total risk.